Former Kiwi Mark Graham took over as head coach for the 1999 season. 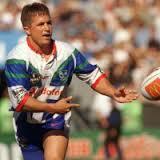 The club was sold off to a consortium that included ex-kiwi coach Graham Lowe and the Tainui Tribe. The club was again disappointing on the field but a mid season ultimatum saw the team string together 5 wins from their last 6 games. 13 March - Rd 2: Tony Tatupu plays his 50th match for the club. 21 March - Rd 3: Brady Malam plays his 50th match for the club. 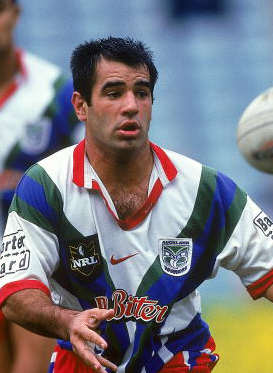 Between the 1998 and 1999 seasons the Auckland Rugby League sold the Auckland Warriors to a consortium that included the majority investor the Tainui tribe as well as Graham Lowe and Malcolm Boyle. The new owners cleaned out the management and coaching structures and also straightened the tongue on the Warriors logo, as a curved tongue is believed to be cursed in Maori culture. Playing 24 games, the Warriors managed to win only 10 to finish the season 8 points adrift of the 8. Matthew Ridge was again the clubs captain with John Simon and Stacey Jones the alternate captains. The clubs biggest victory of the year came in their Rd 26 clash against the Western Suburb Magpies, winning 60-16 with Stacey Jones scoring 4 tries in the match. The clubs biggest defeat of the season came at the hands of both the North QLD Cowboys in Rd 7 going down 24-0 while also losing to Canberra Raiders in their Rd 18 clash by the same margin with the scoreline this time reading 46-22.